If you’re anything like me–someone who grew up watching too many Western films on VCR or classic movie channels–then you know what I’m talking about here. The lone rider is on his horse, looking over the vast expanse with a few bushes, rocks and scattered little trees (or cacti, if it’s the desert). The sun rises and he sets off (or it sets and he makes camp). We’ve all seen these scenes in hundreds of Western programs or movies, and I can never help but ask the question when you see the impressive landscape (cinematographers can make a lot of money for a damned good reason). There’s not a town or city for probably hundreds of miles, and no evidence of anybody around. So how the hell does the hero/outlaw/gang know where the hell they’re at, or if they’re even going in the right direction? Okay, east to west is arguably pretty easy to figure out–chase or be chased by the sun. But how can someone hundreds of miles from civilization figure out if they ride for three or four days they can find their destination, and not be dozens of miles off course? I wonder about how many DID get lost and we just never learned about them (or were stranded like the Donner Party–were they lost, too? I forgot.). It’s just one of those weird things I could never figure out, because with the minimal to nada education in the 19th century the further West you traveled (for probably obvious reasons, at least in the early settlement days), I wonder how many people knew how to make or read a decent map? How many knew the stars in the sky so well to navigate by, and the seasons? The star navigation was proposed by my dad–and maybe he’s got something to that…but how much education did the beginning traveler have to help them out? 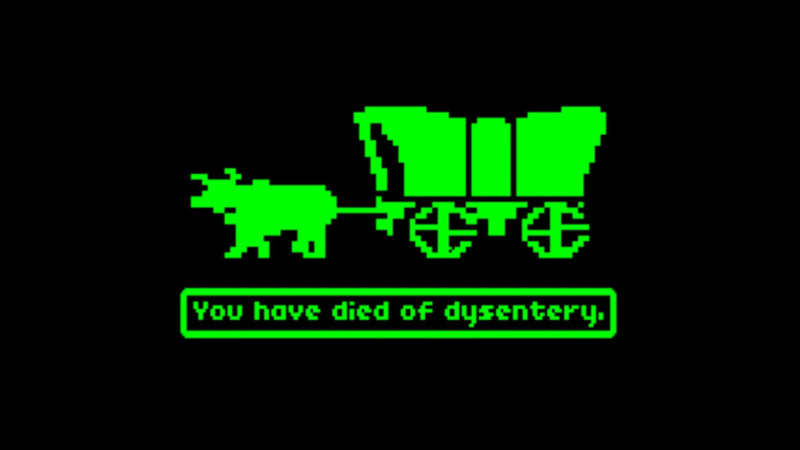 That’s one thing that’s annoyed me about my “education” in history–other than covering major cattle trails and what a “prairie home” was built out of, I don’t think I learned squat about the American West (“Oregon Trail” could’ve probably taught me more…hmm…now I wanna play). And I never saw a “you’re so freaking lost” comment…then again, it was a “known” trail. There’s a scene in a great film called The Big Country (1958), with Gregory Peck as Jim McKay, a sea captain who moves west to be with his fiancee, whose father is in a feud with another big landowner. Halfway through the film, McKay spends a few days out there in that vast land away from his host family and the ranch hands go looking for him, convinced he’s hurt or dead and totally lost. Now, he had a compass with him and explains to the Jean Simmons’ schoolteacher character how he found her ranch with it and knew where the place had to be relative to the river. Anyhoo–that scene always got me thinking about how people who might not have had the navigation and education the McKay character had. Seriously, it’s on my top 10 westerns list–a freaking fantastic film. Go watch it now–shoo, shoo! Google has nothing for me, because I can’t ask the question just right. But I do know that it gives me something to admire about folks in the 19th century. I know people totally incapable of finding anyone or anything without GPS–they can’t even read a regular map. Luckily, I like maps and am big on paper ones–even if thanks to construction and urban sprawl they change all the time. Google can only take you so far, you know…so I get backup directions for every unfamiliar place I need to go. Winging it doesn’t work well for me. At a time when maps were changing quite a bit and some hand-drawn versions were probably the most useful (provided the directions and observations were good), I have to wonder–how did they pull it off? I can only imagine the thousand possible consequences waiting for them if they couldn’t.